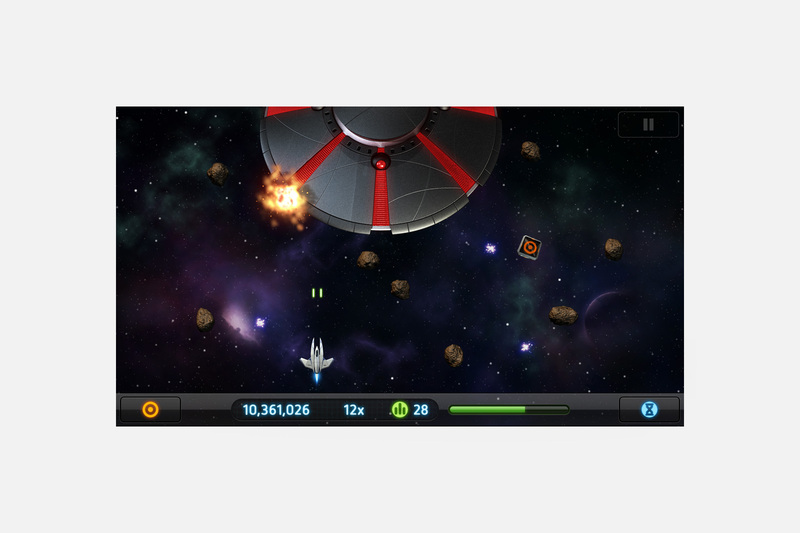 Asteroid Rage is a fast-paced and epic space adventure game for iPhone and iPod Touch. 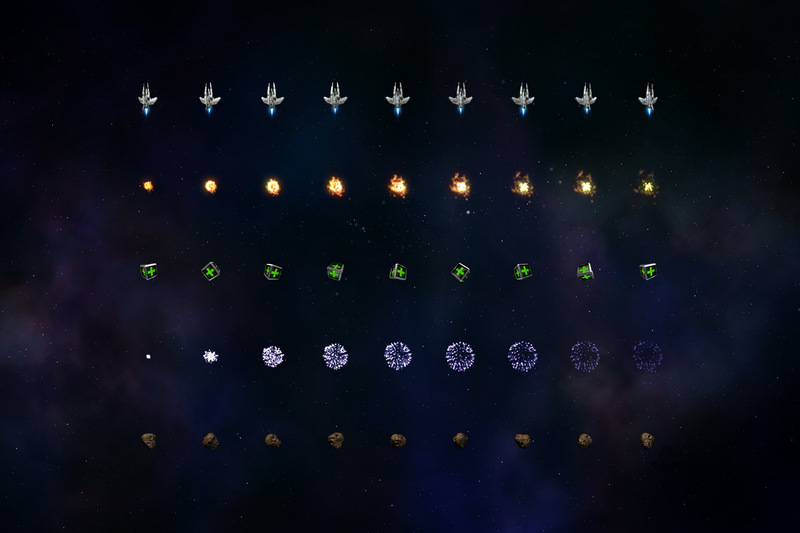 Explore the galaxy and fight your way through countless waves of asteroids, collect stardust and compete against players with an online scoreboard. Using the iPhones’s accelerometer, players steer their spaceship through the maze of asteroids and out of harm’s way. Asteroid Rage was my first attempt at designing a game for iPhone, echoing classic 2D arcade games, with an updated visual style. Manoeuvre your way through the asteroid field or blast them away using the Laser Gun. A slow motion button allows for precision control and a rechargeable bomb clears the screen of any asteroids. My role involved creating all the graphics and animation for the game. Even though the game was played in a 2D top-down style, many items were modelled in 3D then exported as sprite images. This meant I could render objects from different angles in high resolution. Using 3D software also made it easy to animate items like the asteroids and power-ups. 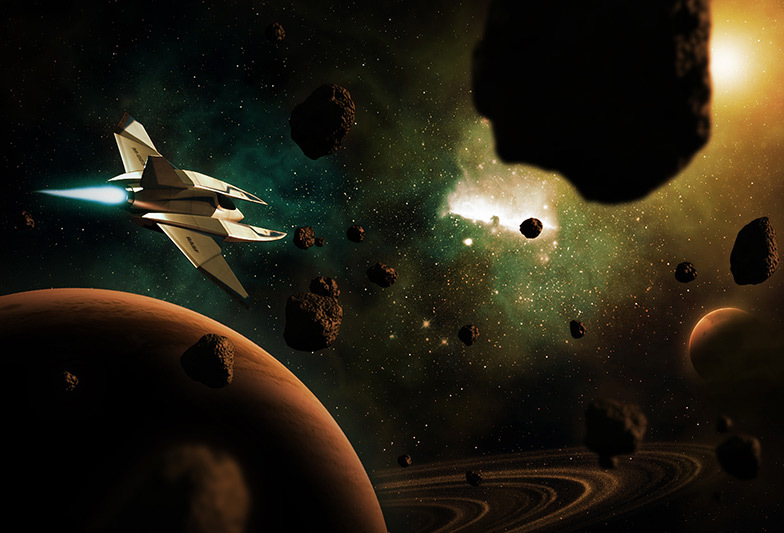 2D particle systems in After Effects were used to create the stardust, while interface graphics were created in Photoshop. I also put together a promotional website for the game, which included a short animated trailer. The music was sampled from various stock libraries and layered into a final score for the game by me, designed to crescendo during key moments. 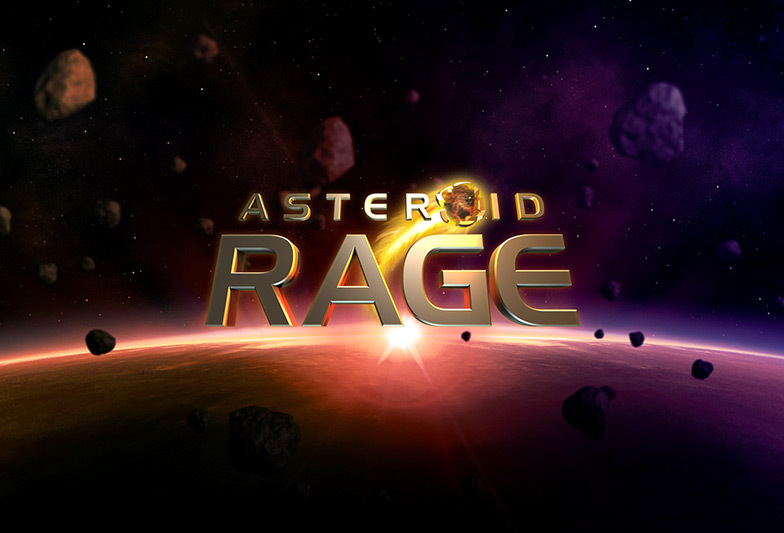 Asteroid Rage is no longer available to download on the App Store. Supporting and updating what was a weekend project meant not enough time could be spent improving it. There are lots of ideas that didn’t end up making the cut, and it’s a shame we never got include them in the game. However, making the game proved to be a huge learning experience and it was a lot of fun to work on.